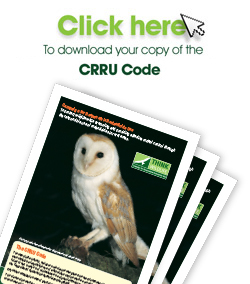 CRRU/IASIS Wildlife Aware Accredited Technicians undertake a specially-designed training course so that they provide efficient rodent control while minimising unwanted impacts on non-target species and the environment. Wildlife Aware courses are offered by IASIS-qualified trainers at centres including Backweston Campus (Co Kildare), Moorepark (Fermoy Co Cork), Ballyhaise College (Co Cavan), Mellows Campus (Athenry Co Galway). 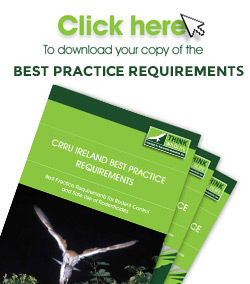 The link here provides information to allow those who require the services of a pest control professional to find a Wildlife Aware Accredited Technician in their area. Please click HERE to find an IASIS accredited Wildlife Aware Technicians in Ireland.